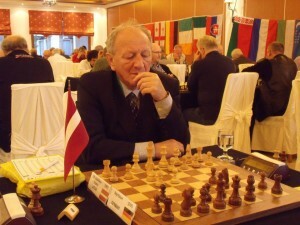 For the first time during the World Senior Chess Championship a player manages to keep the sole lead for two consecutive rounds. IM Jens Kristiansen continues to be top of the table in the open section after he defeated with white GM Vladimir Okhotnik. Kristiansen has 7,0/8, half a point ahead of the first two seeded and only players above 2500 ELO – GM Anatoly Vaisser and GM Evgeny Sveshnikov, with 6,5/8. 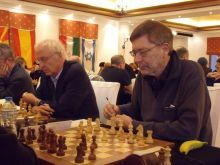 A point behind the leader remain GM Balashov and GM Pushkov. 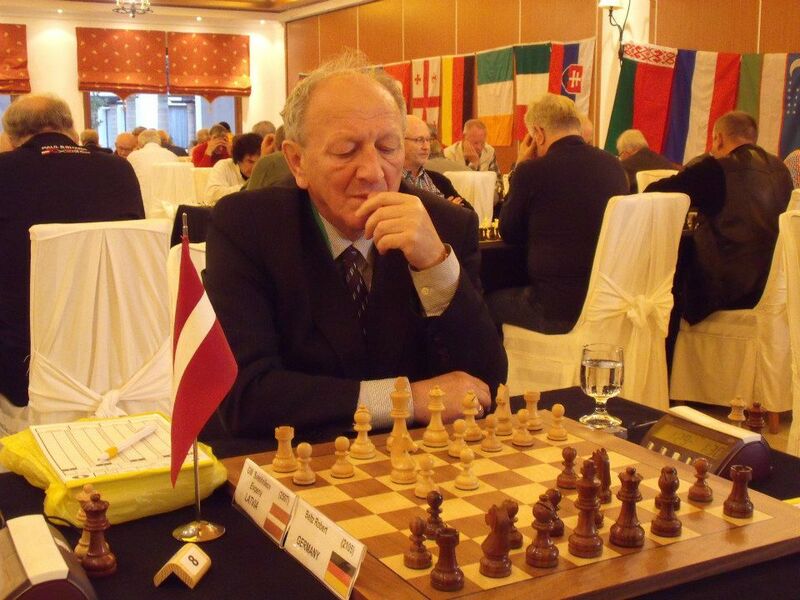 Top encounters of round 9 are GM Vassier – IM Kristiansen and GM Sveshnikov – GM Pushkov. 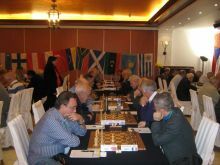 In the women section WGM Galina Strutinskaya defeated WGM Elena Fatalibekova and climbed to the shared first position in the table. She is joined by WIM Titorenko and WFM Ankudinova who drew their game on board 1, and now all are with 5,5/8. 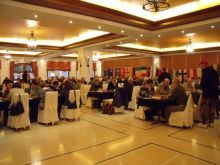 Half a point behind follows a group of five players, among them is the rating favorite GM Nona Gaprindashvili.